Rabbi Perlstein is a native Philadelphian. He grew up in Oxford Circle and graduated from Northeast High School in 1971. 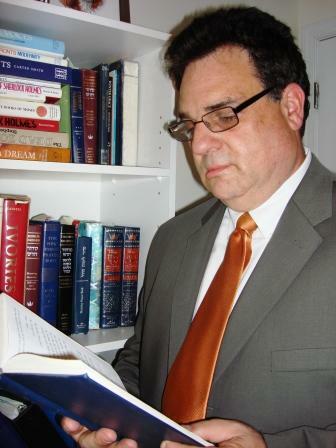 After two years at the Joint Program of Columbia University and the Jewish Theological Seminary, Rabbi Perlstein graduated from Temple University and later received a Master of Arts in Religion from Temple. In 1982 he was ordained by the Reconstructionist Rabbinical College. After serving as the synagogue’s student Rabbi, he assumed the position of Rabbi of the congregation. 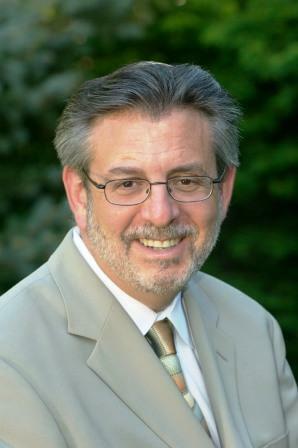 In the following years, Rabbi Perlstein took a leadership role in interfaith relations in the North and Southampton Communities. He also exemplified a commitment to Israel as well as to Soviet Jewry, visiting the Soviet Union on two occasions to meet with Refuseniks and to teach. 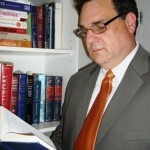 In the early nineties Rabbi Perlstein entered a Doctor of Ministry Program in Pastoral Care and Counseling at the Hebrew Union College–Jewish Institute of Religion. He was awarded the degree of Doctor of Ministry in June 1995. In March 2001, the congregation honored the Rabbi at a gala dinner dance celebrating his 25 years of service to the synagogue as well as the 25th anniversary of the congregation. Rabbi Perlstein has now been the spiritual leader of Ohev Shalom for over forty years and he will readily tell you that he enjoys his rabbinic work more today than ever. He recently wrote”what makes Ohev Shalom so very special is our community, a warm and caring community which I have grown to love more and more over the years.” Rabbi Perlstein is at home with children in the congregation with whom he loves to interact, his high school Confirmation Class along with adults and seniors. He is readily available usually working with his door open. He is also always available for counseling or discussing some personal and private issue. The Rabbi is happiest on the Bimah, at baby namings, B’nai Mitzvah and weddings. On many occasions, he has now named children whose parents he named in the synagogue some years ago. “That is one of the greatest blessings of my rabbinate” he recently noted. Cantor Annelise Ocanto-Romo was born in Boston, MA but has lived in many places during her childhood, including Caracas, Venezuela, Gainesville, FL, and finally settling in Omaha, NE where she grew up from age nine all through college. She began her studies at Creighton University and upon graduation, she received a Bachelor’s degree in Elementary Education, a minor in Vocal Performance, and a specialization in English as a Second Language from the University of Nebraska at Omaha. While in undergrad, she taught in the Omaha Public Schools, taught at her synagogue’s religious school, and was an adult ELL (English Language Learners) educator for the Omaha Literacy Center. 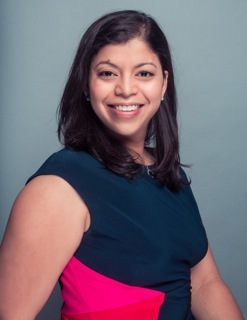 She moved to Manhattan, where Cantor Ocanto-Romo continued on to graduate school and received a Master’s degree in Sacred Music and ordination from the H.L. Miller Cantorial School at The Jewish Theological Seminary. She also completed one unit of Clinical Pastoral Education (CPE) through the Center for Pastoral Care at JTS. While in cantorial school, she continued to teach in religious schools in Manhattan and Brooklyn, tutoring BMitzvah students, as well as serving as cantor and cantorial intern in Sosua, Dominican Republic, Youngstown, OH, and Wykoff, NJ. Upon graduation, she became the hazzan at Beth Israel in Worcester, MA for three years. Currently, Cantor Ocanto-Romo is working towards her graduate degree in Jewish education, with a track in Jewish Special Education. She is a member of the Cantors Assembly through the Conservative Movement. Cantor Ocanto-Romo and her husband, Alessandro, a professional photographer, live with their son Aviv, in Warrington, PA.
Cantor Frimark’s involvement in the Jewish community and Jewish music started at a young age. As a Hebrew school student at Temple Sinai in Philadelphia, he had Rabbi Sidney Greenberg z”l and Hazzan Nathan Chaitovsky as role models and mentors. As a member of the Temple Sinai Youth Chorale, Cantor Frimark developed his love of singing, music and leading services. While in high school, he formed a Jewish rock band, N’shamah, that performed at functions throughout the Philadelphia area. N’shamah later morphed into Shir Chadash, which became the “go-to” band for the next 25 years in the Delaware Valley for Jewish music for weddings, B’nai Mitzvah and other synagogue and community events. During these years, Paul was emcee for many Israel Independence Day celebrations, including one also celebrating the U.S. Bicentennial, he performed at Soviet Jewry rallies and, along with Shir Chadash, accompanied Joan Rivers z”l during her visit to Philadelphia for the Jewish Federation of Greater Philadelphia. As Cantor of Ohev Shalom of Bucks County for twenty years, Cantor Frimark officiated or co-officiated at countless weddings, B’nai Mitzvah, baby namings, funerals, shiva minyanim, unveilings and other life cycle events. Cantor Frimark is a graduate of Gratz College Jewish Community High School, Temple University, and also earned a Graduate Certificate in Jewish Music and a Master of Arts in Jewish Music from Gratz College.